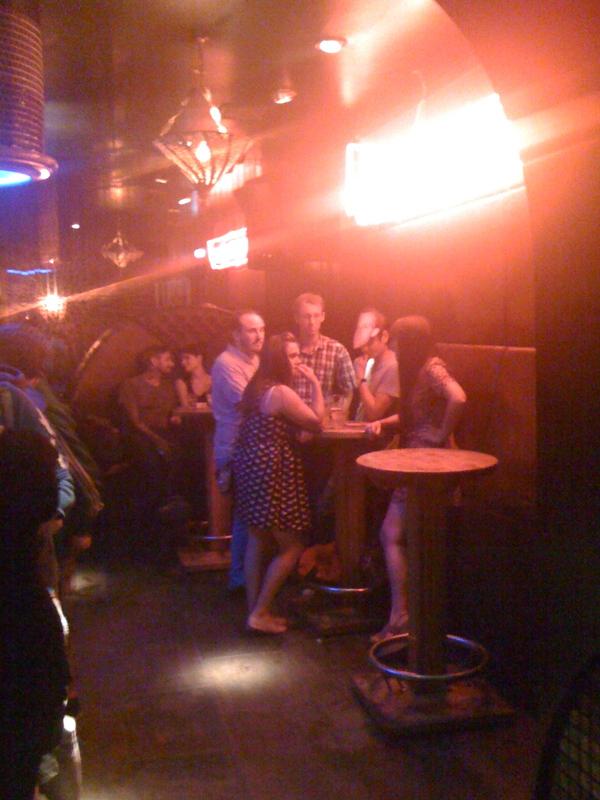 Billing itself as an alternative bar/club, Opium is a pub on the main floor and a dance floor upstairs. It must have been industrial music night, because when I ventured upstairs to use the toilet they were playing "Worlock" by Skinny Puppy, while some young folks who had been teleported right out of Vancouver's Luv-A-Fair c. 1990 were posturing for each other. Back downstairs, the music is a mix of mostly classic hard rock. Rush's "Spirit of Radio" was nice to hear. Some guy was obliviously dancing throughout the bar, looking very much like Dan Snaith of Caribou. It was a veritable Canada-fest! 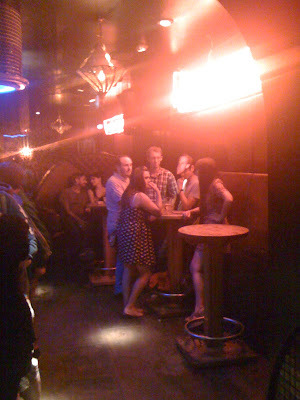 We were lured to Opium by the promise of cheap drinks, as told by a local we had met earlier at Shane's Underbelly show. £1 will buy you a bottle of Budweiser, but that's not exactly what I wanted. 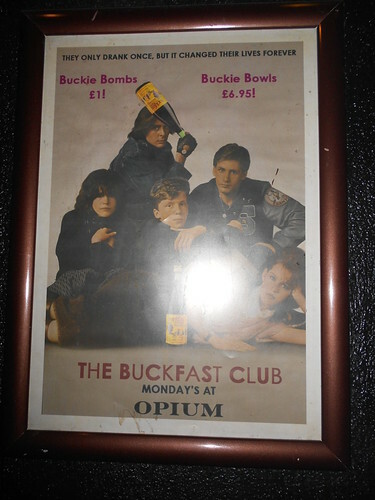 They did have McEwan's on tap, and we even did a round of the almighty wreck the hoose juice itself: Buckfast.